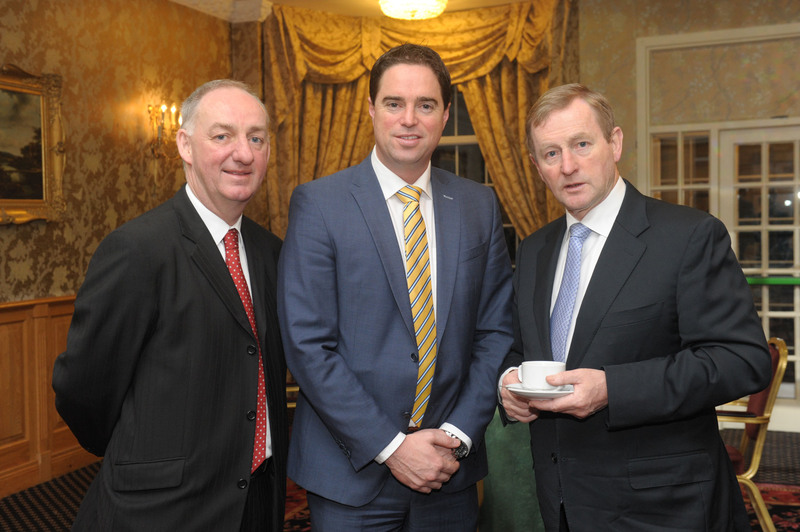 “As we begin to focus on what needs to be included in the 2016 Action Plan for Jobs I was delighted that the Taoiseach, Tanaiste & Minister for Jobs could take time from their busy schedules to come to Newbridge to hear the views of an active Kildare Business Community. “The significant crowd in excess of 200 people and the positive and constructive contributions from the floor gave a very good impression of businesses in Kildare but also gave the panel plenty of food for thought and interesting suggestions for the next Action Plan for Jobs. “The Taoiseach in his address acknowledged that the past few years have been difficult for the people of Ireland and for business but everyone’s efforts have made it possible for Ireland to exit an international bailout, reduce our debts and to safely progress into recovery. “He also confirmed that to keep the recovery going, our main aim is to get unemployment down to 6% by 2020. In seeking such targets the Government can still choose which areas to prioritise for reform and therefore he highlighted that in the recent Budget we have made the first step to end the unfair tax treatment for our self employed workers to help to support those who created their own jobs and have created jobs for others. “This first step was the introduction of an Earned Income Tax Credit to the value of €550. To support and reward work and effort we will complete the tax equalisation for the self employed in the coming years along with other measures to support our job creators. “Since we launched our Action Plan for Jobs in 2012 we have seen the economy add 135,000 new jobs. This recovery in jobs has continued in 2015 with over 1,000 new jobs created each week.